Intel's quad core SB i7 CPU is built on a 32nm process with 995 million transistors on 216 mm^2 die area, or 4.6 million/mm^2. In comparison, AMD's Llano APU has 1450 million transistors on 228 mm^2 die, or 6.36 million/mm^2. In other words, AMD's 32nm is 38% denser than Intel's. Wow. only $141 for the Quad core APU with 400 shaders. AMD and Nvidia both quit BAPCo, which was the SYSMark benchmark organization headquartered within an Intel building. AMD's reason for quitting is simple: the benchmark is rigged, and AMD does not have enough say to correct it, so just let BAPCo play its game by itself. For instance, AMD points out, SysMark uses outdated applications, and distorts scoring. On a 35000 line spreadsheet, a $155 AMD CPU lagged behind an $295 Intel CPU by 7% in terms of speed, but AMD's score given by the SysMark was 40% lower than the Intel one. This is like giving someone who scored 100 raw points an A, but someone at 93 a D.
AMD also points out that the SysMark benchmark uses outmoded applications without HTML 5 support, and does not show the benefit of parallel computing. 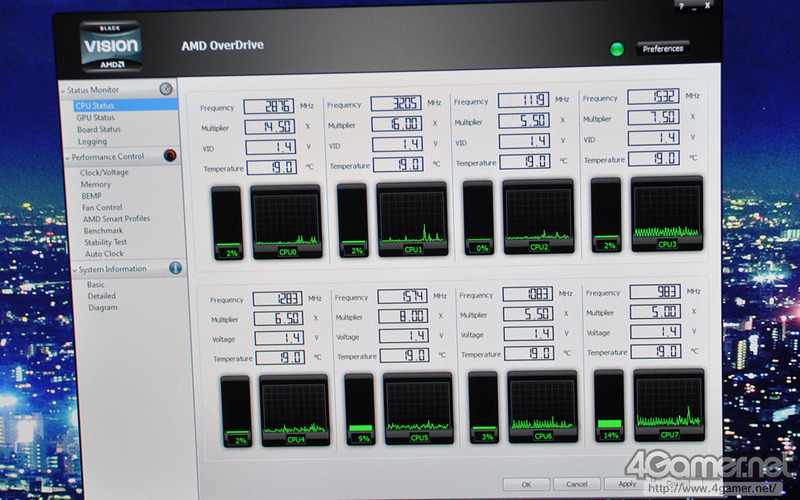 Obviously, AMD stands to gain if such newer technologies are included in the benchmark. Intel knows that it has no future. In the past 9 years, Intel made no innovation and copied AMD on every step. Intel copied AMD64--the 64 bit extension to x86, even though it tried to deny it for years. Intel copied multi-core from AMD. They copied embedded memory controller from AMD, and finally the cache coherent hypertransport from AMD, which Intel calls Quick Path. Intel even followed AMD's footsteps to offload cellphone business (big mistake) and flash business. AMD has set the standards. Now, there is something Intel could not and cannot copy: Fusion. AMD made the bold, preemptive move to spend $5 billion to acquire ATI, and started tightly integrating high end visual technology with its AMD64 cores. The name of the game is Fusion. Intel suddenly find itself in a tight corner. It cannot get its hands on Nvidia for 10 thousand reasons--- anti trust regulation being one of them. It is stuck with ancient DX10 graphics vastly inferior to AMD in every aspect. Yet, AMD is not sitting idle. It has endeavored to create a new Fusion ecosystem, with OpenCL and Microsoft's Open-AMP as the software platform. More and more applications will be written to harvest the gigantic compute power of the 400+ shader processors which impales anything Intel by a factor of 10 or more. Fusion is AMD's rise to dominance and Intel's doom. Wow, this is some technology Intel wants to copy.